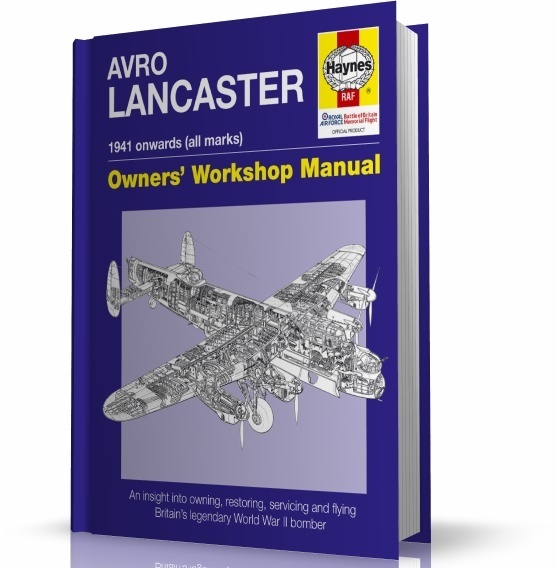 The legendary Avro Lancaster receives the famous Haynes manual treatment with the full co-operation and authorisation of the Royal Air Force. Here is a unique perspective on what it takes to restore and operate a Lancaster, as well as a wonderful insight into the engineering and construction of this remarkable aeroplane. Presented mainly in colour, this highly detailed and attractively designed book is based primarily around the major overhaul of the Battle of Britain Flight Lancaster at RAF Coningsby. The Lancaster story – the story of a fighting aircraft. Restoration and flight – the anatomy of a Lancaster. Operating a Lancaster – originality, costs, paperwork. The aircrew’s view – flying and displaying a Lancaster, and wartime aircrews’ view. The engineer’s view – servicing and maintenance. Appendices providing a glossary of terms and details of useful contacts. The authors: Jarrod Cotter is Deputy Editor of Flypast magazine and has flown in both the airworthy Lancasters in existence. Paul Blackah is Chief Technician at the RAF’s Battle of Britain Memorial Flight, responsible for overseeing the engineering and maintenance work on the Flight’s Lancaster. Both authors live in Lincolnshire.